We enjoyed the surprise February sunshine this week when we got to spend a day working outdoors on a project for Coed Cadw/The Woodland Trust. Our client needed a variety of materials to help them facilitate an event at their national head office. These included roll up banners, printed materials and… a wooden fingerpost! Our woodwork skills were put to the test and we had great fun building the prop which helped our client have a successful day. 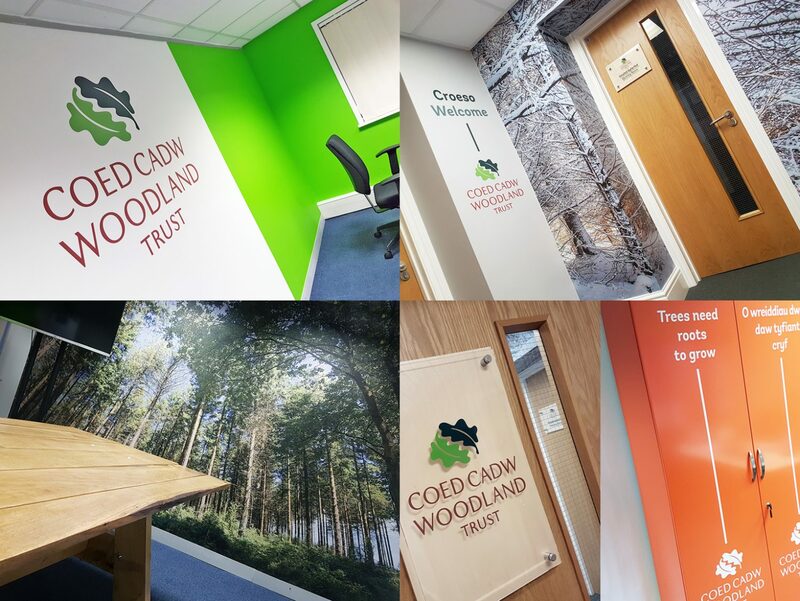 We are delighted to have completed installation of new decoration for the Woodland Trust’s Wales offices. 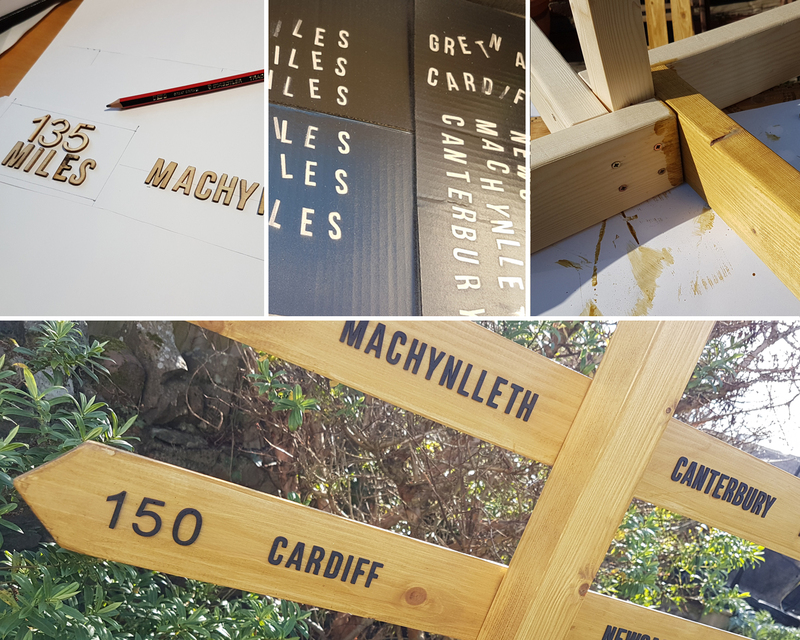 Full-height wall graphics featuring seasonal treescapes now decorate each room and these are complimented by unique signage which will feature timber from Welsh estates. The project also included the design and installation of branded office furniture and a contemporary hot desk space. 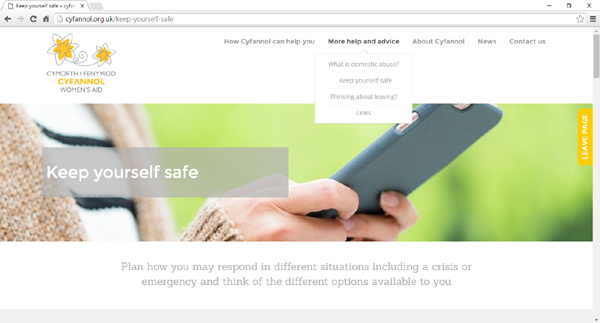 Cyfannol Women’s Aid recently launched their new website design, created and built by us here at Designworld. The responsive website, built using the WordPress framework and designed to work on multiple platforms, had to successfully communicate important information clearly and quickly to a varied audience, from service users to corporate sponsors. 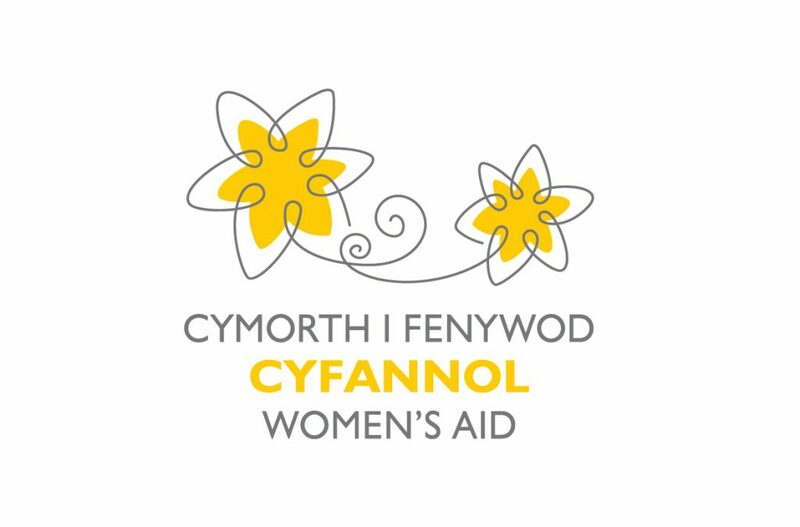 Following the merger of Torfaen Women’s Aid and Women’s Aid in Monmouthshire in July 2015, the organisation has been renamed as Cyfannol Women’s Aid. We are pleased to have been appointed to update the logo design for the new organisation. Cyfannol means ‘holistic and integrated’ which describes the new organisation’s approach to managing their services and is reflected in the new logo design. 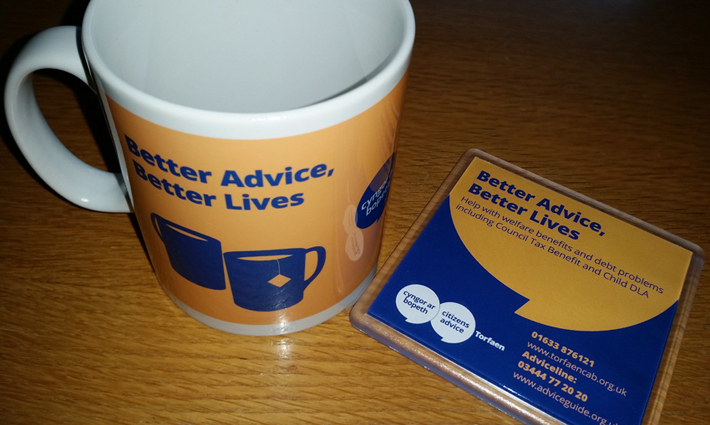 Citizens Advice have a new corporate identity so it was interesting to produce some new printed items for Citizens Advice Torfaen using the new style. Citizens Advice is a household name, respected and trusted. They help millions of people every year, but there are others they don’t reach and so they are refreshing their brand to bring it in line with their modern service. The brand is to help ensure that everyone knows who they are and how they can help – now, and in the future. We think the new style looks great on these first items and we look forward to developing it onto various items – including a new pop-up exhibition stand – very soon. 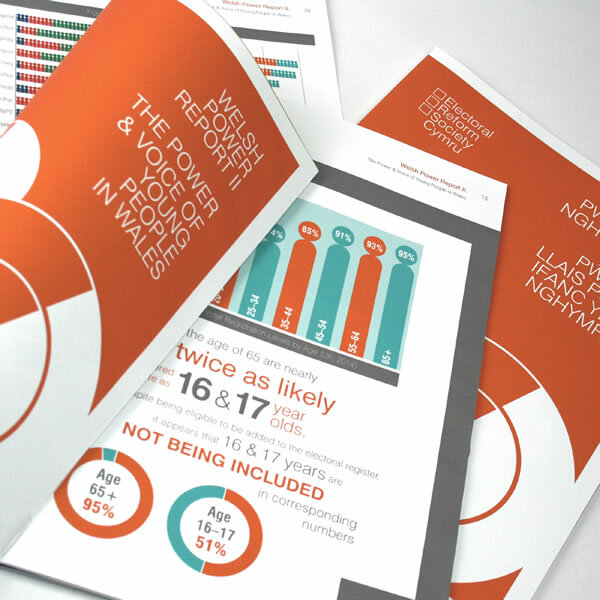 Published prior to the General Election last week, we designed this report and a lot of infographics for Electoral Reform Society Cymru. Available in both English and Welsh languages, the original document contained a large number of tables which we developed from the raw data into modern, striking and easy to interpret infographics. As well as requiring the gravitas appropriate to a report which is aimed at policy makers, our designs needed to be attractive to a younger audience as they were also widely disseminated on social media before the election. “Diolch yn fawr am eich gwaith! Thanks for all your work! :)” tweeted our client. The Annual Report that is not just for Christmas! Torfaen Women’s Aid wanted an Annual Report that their stakeholders would keep to hand all year around. 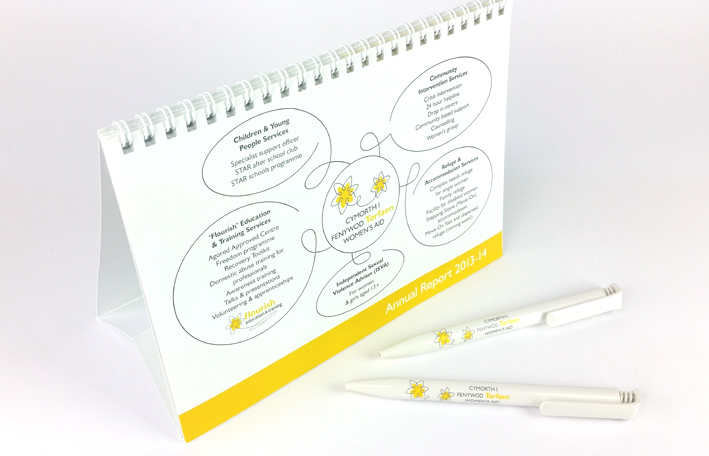 So rather than the usual booklet format, we worked on a desktop calendar which could serve as Annual Report, publicity material and useful desktop resource all in one! The finished item featured all of the usual statutory information plus a review of the organisation’s services and list of staff achievements, all in a handy A5 tent-card format that looks good on any desk. It also features some truly inspirational quotes from service users which brings home what a vital service TWA offers. We were genuinely pleased to be able to help with this unique and useful item. Designworld are pleased to have created the third sector logo design for a new grouping of south Wales third sector organisations – Gwella. A collaboration between Torfaen and Newport’s Women’s Aid groups, Waimon in Monmouthshire and Atal Y Fro in the Vale, the organisations aims to pool their resources, taking advantage of the different organisation’s strengths and also to streamline funding applications. Following the initial briefing, Designworld produced five different logo designs which were then presented to the heads of each organisation. Following much discussion, the “ribbon” logo shown above was selected. Designworld are proud to have just created and launched the new website design for Torfaen Women’s Aid. Based on the corporate style that we had already created to go with TWA’s new logo that we designed last year, the new website portrays a contemporary, clean and easy-to-navigate style for the organisation. The website also featured a Content Management System to allow TWA staff to easily update content. Although only just launched, the website has already caused much positive comment and even – dare we say it – some envy amongst partner organisations! Designworld are proud to have just created the new branding for Torfaen Women’s Aid. After submitting several logo designs to answer the brief, two final designs were put before the organisation’s staff for them to choose their favourite. Of 26 votes cast, 14 were for the chosen logo. Helen Swain, Director of Torfaen Wonen’s Aid said “In changing times it is more important than ever that we have a quality image and gold standard reputation. The bilingual logo will be launched shortly, with the branding to be rolled out over stationery, support literature, display material and the organisation’s website over the next few months.